When you establish your investment portfolio, your brokerage firm, global custody agent, registered investment advisor, asset management company, financial planner, or mutual fund company will asks you to identify the investing strategy you plan on utilizing to manage your money. Most of the time, they'll do it on the account form, having you select from a pre-existing checklist that might include things like, "capital preservation", "growth", "speculation", and "income". These are known as an investment mandate. It's the last one - income investing - that I want to talk to you about in this article. What is an income investing strategy? How does it work? What are its benefits and shortcomings? Why would someone choose it over the alternatives? Great questions, all. Let's delve into them so you emerge with a better understanding of the types of investments that might be held in an income strategy portfolio, as well as the opportunity cost you'll incur by not opting for one of the other common approaches. The phrase "income investing strategy" refers to putting together a portfolio of assets specifically tailored to maximize the annual passive income generated by the holdings. To a lesser degree, maintaining purchase power after inflation adjustments is important. A tertiary concern is growth so the actual real dividends, interest, and rents are increasing faster than the inflation rate. 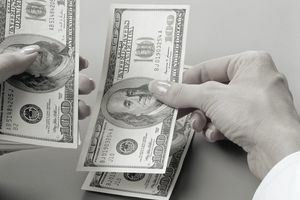 The reason investors put together an income portfolio is to produce a constant stream of cash that can be spent today, pumped out from a collection of higher-than-average yielding assets; cash that can be used to pay bills, buy groceries, purchase medicine, support charitable causes, cover tuition for family member, or any other purpose. Royalty unit trusts. These are publicly traded trust funds (different from basic unit investment trusts) that, in many cases, are not authorized to grow but instead hold a collection of assets that must be managed and the proceeds distributed by the trustee, often a bank. These trusts tend to hold the right to royalties on oil and natural gas wells, making them extremely volatile. Furthermore, they have finite lives. There will come a point at which they will expire and disappear so you must make absolutely certain you are paying a rational price relative to the proven reserves at a conservative estimation of the value likely to receive for the commodity when it’s sold. This is an area where it is best not to tread unless you are an expert because you are most likely going to lose money. Still, they can be wonderful tools under the right circumstances, at the right price, for somebody who has a deep understanding of the energy, mineral, or commodity markets. Money market accounts, money market mutual funds, and their alternatives. Though they aren’t the same thing - a money market account is a type of FDIC insured product offered by a bank while a money market mutual fund is a specially structured mutual fund that invests in certain types of assets and which the share price is tethered to $1.00 - when interest rates are ample relative to inflation, these two cash alternatives can be a magnificent way to park surplus funds. In the 1990’s, for example, you could easily put 10%, 20%, 30%+ of your portfolio in money market funds and collect 4% or 5%+ on your money without taking any of the risks you encounter in stocks, real estate, or most other asset classes. Exotic or non-standard assets such as tax-lien certificates or intellectual property (copyrights, trademarks, patents, and licensing agreements) can be a goldmine for the right type of person who understands what he or she is doing. I recently did a case study on my personal blog of songwriter Dolly Parton, who amassed a person fortune estimated between $450 million and $900 million, mostly on the back of a portfolio of 3,000 song copyrights, which she used to fund a theme park empire that now pumps money into her pockets from ticket sales, hotel accommodations, restaurants, licensing rights, and souvenirs. Do not tread here unless you know what you’re doing because it could be disastrous. Cash reserves, often consisting of FDIC insured checking and savings accounts and/or U.S. Treasury bills, which are the only acceptable large-scale cash equivalent when absolute safety of principal is non-negotiable. Ideally, an income strategy portfolio will have enough cash on hand to maintain at least 3 years’ worth of payouts if the other assets stop generating dividends, interest, rents, royalties, licensing income, or other distributions. The biggest advantage of opting for an income strategy is you get more cash upfront. The biggest disadvantage is you forego a lot of future wealth since your holdings are sending the spare money to you, not reinvesting it for growth. It’s very difficult for a company like AT&T or Verizon, which is shipping most of the profit out the door in a cash dividend so fat it is more than twice that offered on the stock market as a whole, to grow as quickly as a business like Chipotle Mexican Grill, which is considerably smaller and retains its earnings to open new locations. Additionally, it’s much more difficult for an income strategy investor to take advantage of things like deferred tax leverage because most of the income is going to come in the form of cash payments today, meaning tax payments in the year received. Overwhelmingly, those who prefer the income strategy approach fall into one of two camps. The first is someone who is retired and wants to live off his or her money to the maximum degree possible without invading too much principal. By opting for slower-growing, higher-payout stocks, bonds, real estate, and other assets, he or she can achieve this. The second is a person who receives a lot of money in some sort of windfall - selling a business, winning a lottery, inheriting from a relative, whatever. If the money could make a big difference in their standard of living but they want to make sure it’s there for the rest of their lives, they might opt for the income strategy to serve as a sort of second or third take-home paycheck. Picture a teacher earning $40,000 married to an office manager earning $45,000. Together, they make $95,000 before taxes. Now imagine they somehow come into $1,000,000. By going with an income strategy that produces, say, 4% annual payouts, they can take a $40,000 check from their portfolio year, increasing their household income to $135,000, or more than 42%. That is going to make a huge difference to their standard of living and they figure they’ll enjoy it more than having even more capital when they’re older. The $1,000,000 serves as a sort of family endowment, much like a college or university; money that is never spent but devoted solely to producing spendable funds for other purposes.